In 2010 I co-founded Taste Creative with a mandate to devise exceptional creative content across multiple platforms. At Taste, we conceive ideas and bring them to life. We craft brands, advertising campaigns and entertainment, inspired by our passion for imagination and story. At our core, we are strategists and artists, developing work across digital, print, film and animation. Taste exists to engage, inspire and move broad audiences for clients who are bold and interested in helping to create positive social change. Bus Stop Films was born in 2009 when Producer, Eleanor Winkler and I won Tropfest (the worlds largest short film festival) with our first inclusive short film, Be My Brother. Bus Stop Films is a pioneering not-for-profit organisation which has a focus on creating inclusion within the film industry. Bus Stop holds weekly filmmaking workshops for students with a mild to moderate intellectual disability, in order to engage them in all aspects of film, from it’s history, to it’s artistry and the practical elements too. 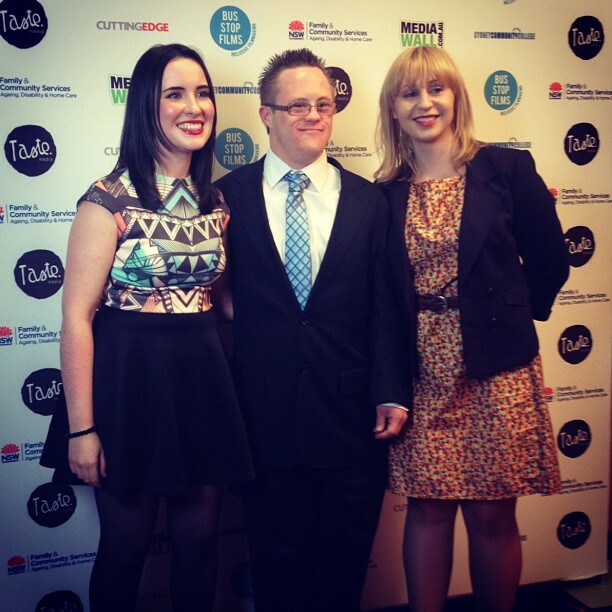 Bus Stop’s focus in on creating a supportive learning environment for people with an intellectual disability so that they can learn about and be involved in film. So far Bus Stop has been involved with creating a variety of inclusive film projects, that have been screened both nationally and internationally. I love storytelling through film. When I can see ideas begin to come to life and materialise on the screen, I’m in my sweet spot. The power of storytelling really is profound. It has the ability impact people’s understanding of others, build bridges in society and create empathy and understanding. I am most attracted to filmmaking because of this quality. Check out some examples of my work from the past five years on this site that embrace filmmaking as a form of advocacy.